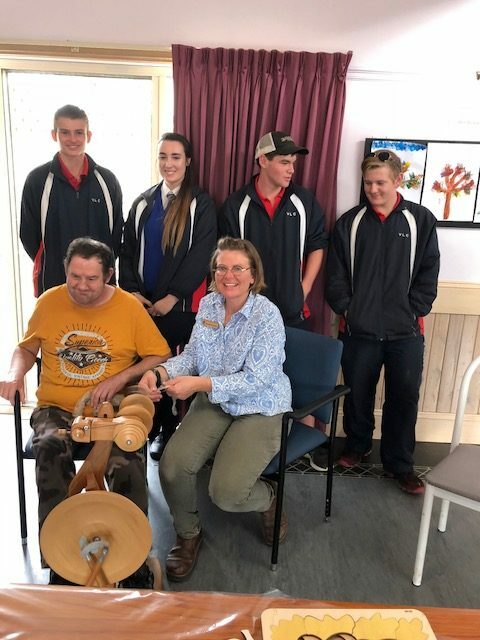 Victory Lutheran College presenting Learning Centre participants with a spinning wheel they’ve donated. 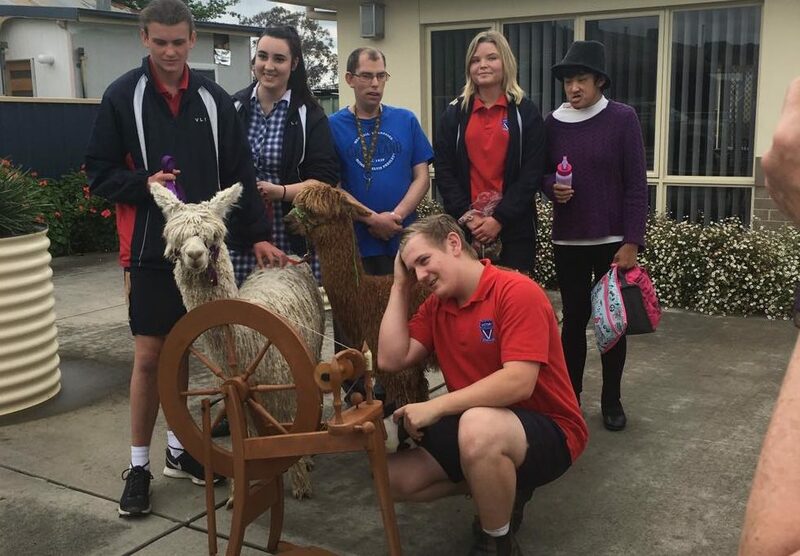 This year, Mercy Connect partnered with Victory Lutheran College to offer a one-of-a-kind experience for the VCAL students and the participants of the disability provider. Mercy Connect are keen on attracting a new generation to come into the disability sector and work as disability support workers. Back in May, a handful of VCAL students from Victory Lutheran College, accompanied by their teacher, Rachael Fenselau, went to Head Office of Mercy Connect to learn more about the organisation. Jessie Arney, Executive Leader People & Culture, gave an in-depth presentation about Mercy Connect, who they are and information about working for them and in the disability sector. In the weeks after, the school group split into two smaller groups and spent time at the Learning Centre – one of three Mercy Connect day program outlets in Albury. Each Wednesday afternoon, respectively, the students and Rachael spent time with the participants undertaking a range of activities and interacting with them. They also had the time to sit down with staff and hear about what it is like to work with intellectually disabled people. 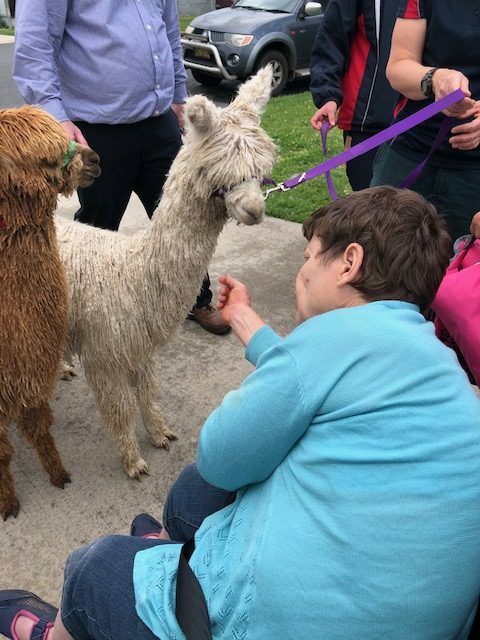 Bev meeting the Alpacas, Raggamuffin and Neptune, at the Learning Centre. The sessions were a great eye opener for the students who got to see first-hand what it is like to care for someone that is disabled. Those that were hesitant were able to connect with the participants and learn from them. The participants loved meeting new people and loved it when the students came back to visit. 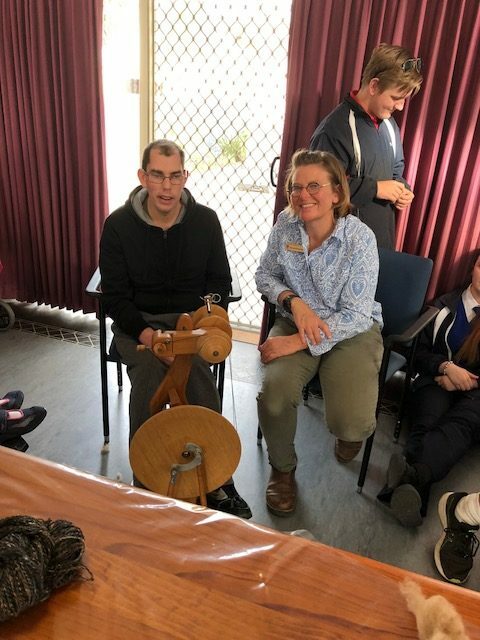 In the last session, Rachael, brought along a spinning wheel and showed the participants how to spin wool. The participants loved it. They enjoyed learning a new skill. Rachael was so pleased, she announced that the school group would be donating a spinning wheel to the Learning Centre. In October, Rachael and the school group came for their final visit to the Learning Centre and presented the spinning wheel they donated. 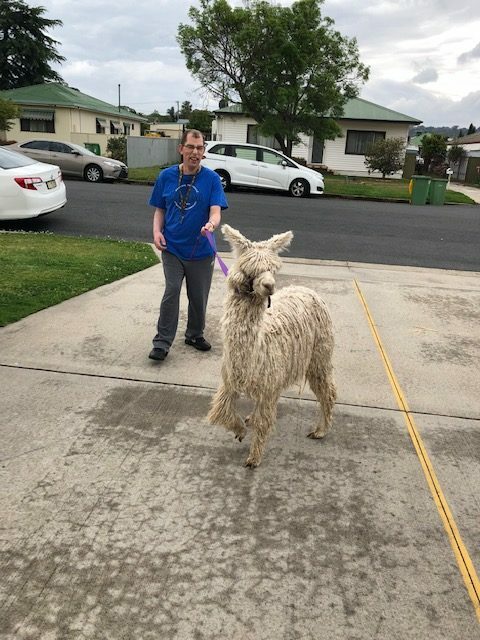 They also brought along two Alpacas for the participants to meet and interact with. It was a wonderful afternoon with participants catching up with their new friends, interacting with animals and receiving their gift that they will continue to enjoy to use for years to come.